Statements made by candidate Trump in last year’s US presidential election generated palpable anxiety in Europe. The sustainability of NATO, an alliance that has kept us in relative security for 70 years, was being challenged. However, since coming to office President Trump has taken a different tack. Ironically, his words and actions have triggered a healthy process prompting European allies to ask, not if the transatlantic alliance can survive, but how they can ensure its longevity and vitality? One of President Trump’s first actions was to install a strong security team: from the Vice-President to Secretary Tillerson, National Security Advisor McMaster, CIA Director Pompeo and most especially Defense Secretary Mattis, with whom I had the pleasure of serving at NATO headquarters. The president’s team have steered him towards what I would call a more Reagan-like foreign policy. President Trump sent a powerful signal to Bashar al-Assad and to ‘whom it may concern’ by retaliating when the Syrian dictator crossed the ‘red line’ on the use of chemical weapons. Whether choreographed or not, launching missiles on Assad’s airbase whilst enjoying dessert with the Chinese President at his Mar-a-Lago club, demonstrated that Donald Trump is both unpredictable, and not to be crossed. These actions, alongside dropping a ‘Mother of All Bombs’ in Afghanistan and seeking to jolt the Chinese into action on North Korea, have also shown a president unafraid to act or to use American muscle to achieve his interests. 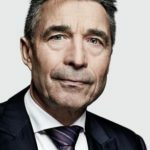 When NATO heads of state and government meet for dinner on May 25th, they will dine with a president who – despite campaigning on a platform of ‘America First’ – took significant forays into foreign policy in his first 100 days. Nevertheless, allies should not assume that the president is seeking to forge a Trump doctrine, or define his presidency on its foreign policy credentials. Nor should they assume that President Trump will automatically follow the orthodoxy that the transatlantic alliance represented in NATO is the only way of ensuring our Euro-Atlantic security. President Trump sees international affairs in a similar way to his business world. Personal relationships are important; multilateral relationships are officious; and in every deal both sides should uphold their end of the bargain. From President Trump’s point of view, he has seen European allies harvest the ‘peace dividend’ since the end of the Cold War, cutting back on defence spending and relying on the United States to carry much of the burden within NATO. President Trump is right to ask European nations to pay more of their share. At my last NATO summit as Secretary General in Wales, every single head of state or government signed a commitment to point defence spending towards two percent of GDP by 2024. To date, only five NATO allies reach this target: the US, UK, Poland, Estonia and Greece. Russia’s illegal occupation of Crimea, its proxy war in eastern Ukraine, and its ongoing activities that seek to destabilise western institutions, have all caused a reversal in that trend. Last year, European defence spending increased by ten billion dollars and it continues to rise. However, President Trump’s unorthodox manner has shone a spotlight on the burdensharing issue and compounded the necessity of living up to commitments. He will undoubtedly continue to pressure European allies in this regard in the coming weeks. European allies should see this as a business opportunity. They can set out a clear undertaking to increase spending and NATO capabilities. In response, President Trump should make a statement that the US unconditionally stands by Article 5 in defence of its allies. This will send a powerful signal that NATO’s core deterrent effect remains unbendable. However, President Trump has also been clear that he expects the transatlantic alliance to deliver more than a simple mutual defence guarantee. He wants to see it play a more significant and active role in the fight against global terrorism. Do not forget that this US president was a resident of New York and one of his first acts at NATO’s new headquarters will be to unveil a 9/11 memorial. European leaders have a common cause with the American President, yet many see a very limited role for the NATO alliance, and more of a role for the European Union. I believe this is a mistake. 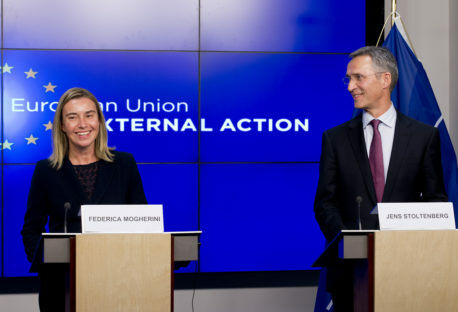 The EU brings significant benefits in the internal security of Europe, sharing data and intelligence, for example. However, to take the fight to terror organisations we must strengthen the security situation in those areas in which they operate – particularly in Iraq. NATO is best placed to carry out this work. At the May mini-summit, NATO leaders can make a solid step forward by establishing a major counter-terror training mission, starting with Iraq, to give local forces the tools they need to do the job. NATO has recently reinstated a very limited mission in Iraq but for it to have real impact it must be stepped up and adequately resourced by allies – especially those not currently spending close to the two percent target. 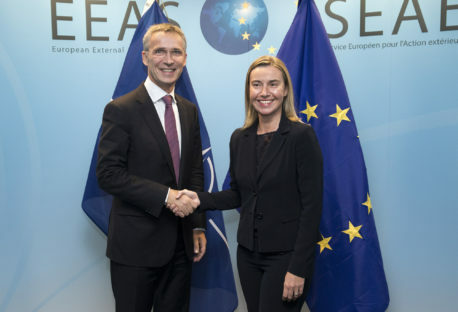 Whether looking to the revived need for mutual deterrence, or the fight against terrorism, the transatlantic allies continue to share many mutual interests. Europe’s security is US security and vice versa; but Uncle Sam is not willing to write a blank cheque. 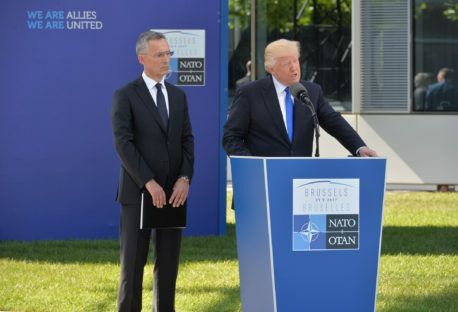 President Trump’s focus on NATO’s usefulness and efficacy has caused European allies to no longer assume the transatlantic alliance can be taken for granted. Instead, like any relationship, it needs work from both sides – especially when the partner across the Atlantic sees the relationship as more transactional than emotional. It could well be the ultimate irony that the candidate who just a few months ago was seen as a real risk to the transatlantic security relationship, could be the president to jolt it into action, revitalise it and make it even more relevant in today’s dangerous world.